CNA Certification- From Classes to a Career! Are Online CNA Training Programs good enough? As the Internet technology has improved over the last few years, online training programs are mushrooming everywhere. Online training and education is increasingly becoming popular as it offers the benefit of studying at your own pace and schedule. Getting a diploma or degree through distance learning is preferred by many over joining campus based programs. 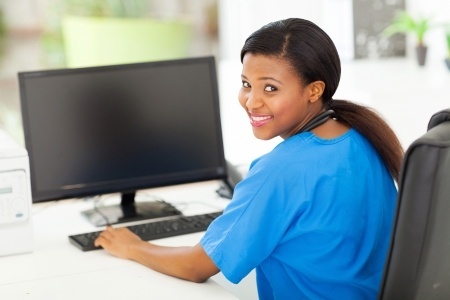 Now, what are the online training options if you plan to become a CNA? If you wish to become a certified nursing assistant (CNA), the Red Cross CNA Training is one of the best options, but this training is not available in all cities, so many people are looking for other options like online CNA training programs. You may be aware that nursing assistants have to perform tasks to assist the nurses by taking care of nursing and housekeeping chores. Well, there are many good online CNA training programs offering online CNA certification. And these could serve as excellent alternatives to CNA training programs offered by Red Cross, big hospitals, nursing colleges and nursing homes. So would online CNA training be effective enough to equip you with skills to take care of the demanding CNA job duties? Let’s discuss the pros and cons of online CNA training in this post. Signup now and receive an email when we publish new articles. The job of a CNA is very similar to that of a nurse aide in the past. Nurse aides worked with nurses and performed medical and housekeeping tasks which nurses had no interest in performing. Till recently there were no formal certification programs for nurse aides. They used to learn the job duties through an orientation in a hospital followed by on the job training assisting the nurses. As time progressed, privacy issues were given importance as medical laws changed. The job was nurse aide was upgraded to what we know as CNA today, and a formal training and certification was made mandatory for all who wish to take up CNA as a career. A nursing assistant’s duties include many tasks such as cleaning patients rooms, changing bed sheets, feeding a patient, bathing and dressing up patients, taking patient’s vital signs, and helping patients with rehabilitation and exercises. With such demanding job responsibilities in a CNA job, is taking up an Online CNA training Program enough to equip the students with skills needed for the tough CNA job ahead? Or, is it better to go for formal on-campus CNA training? If you are already working or very busy to find time to attend on-campus training, taking up online CNA training classes could be of immense help to you. Online CNA training classes are also of benefit to those who do not have any access to formal CNA training in the location they live. Online CNA training program schedules are very flexible; these classes can be taken anywhere and anytime, as the process of learning is asynchronous (a student need not be online at the same time when the instructor’s lecture is web cast) and you can take the classes at your own pace. Since there are no time limits involved in most online CNA training courses, a nursing assistant student can plan his time depending on how fast he can pick up the knowledge, his spare time for studying; so a good student can complete the CNA training requirements in a short time and graduate in lesser time. Online CNA training programs also offer an unending source of information for all the research needed for preparing for the CNA certification test. Although there are many benefits of the online certified nursing assistant training program, there are also many disadvantages. First, because of the asynchronous delivery of the lecture, it is not possible for the students to interact with the instructor or even other students. So, if you do not understand some concepts and need clarification about some point made by the instructor, it becomes a lengthy process of getting the responses by email. Many online CNA training programs have online forums for students so that they can interact with other students and instructors; however, the participation in such forums is limited and one cannot always find the right answer to the question he may have in mind. You may be able to interact with other students online and even practice some tasks such as dressing a patient or feeding a patient, but there are many other important tasks like taking vital signs or making a patient to prevent bedsores. It is not possible to practice such tasks in your own home. That’s why almost 70% of students who graduate from online CNA training courses do not perform well enough on the job when compared to students graduating from traditional type of CNA training schools. You should also note that that as per the Federal nurse aide training regulation, a nursing student must undergo fifty hours of theory lessons and hundred hours on the clinical training. So, our recommendation is that if you are already used to on-campus education, and have access to an on-campus CNA training school in the locality you live, it is better to stick to it. Nothing beats the experience you get in a formal on-campus CNA training. However, if you are very busy or do not have access to any on-campus CNA training programs, you can enroll into an online CNA training program, but make sure that they offer an option for getting clinical training in a facility near you.